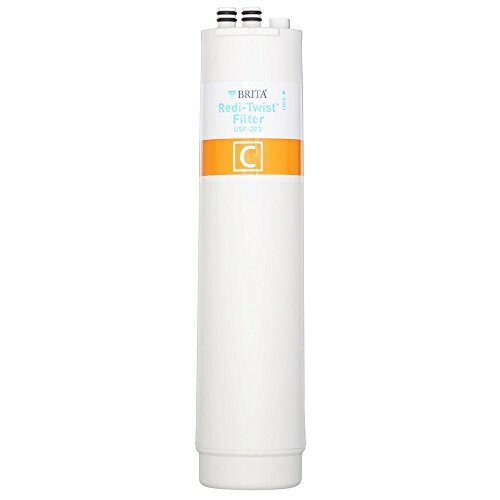 The Brita Redi-Twist Under sink Replacement Filter reduces aesthetic chlorine, atrazine, cysts, lead, lindane and particulates to improve the taste and quality of your incoming tap water. This filter is certified for lead reduction. The carbon block component improves water clarity for ready access to cleaner drinking water. Easy filter replacement requires only a 1/4 turn twist to remove or replace filter.